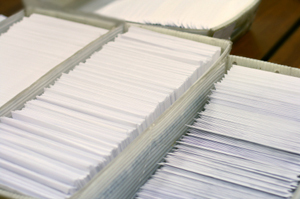 Mailing regulations and mailing costs are important elements of every project. Prospect integrate the mailing process into the entire project to help save you time, money and hassles. The mailing regulations seem to change frequently so let us help you to get out your message as cost effectively as possible! Please click on the image below to download a useful guide from the USPS to help in setting up your mailing piece to get the most cost effective rates.